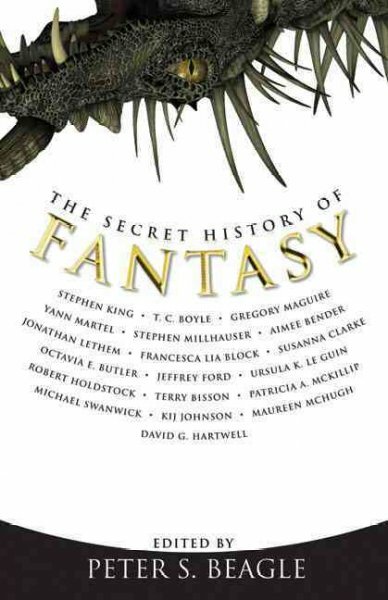 My review of The Secret History of Fantasy, a collection of post-1977 short fiction edited by Peter S. Beagle, is up at Strange Horizons. In similarly fantastic, but less secret news, George R.R. Martin is about to become more popular. On April 17th, HBO's adaptation of The Game of Thrones, the first book of Martin's Song of Ice and Fire series, will hit our TVs and bittorrents and various interviews and profiles are popping up. The New York Times interviews Martin here, and The New Yorker profiles him here (though it would appear at the moment The New Yorker wants you to pay for the whole thing). Laura Miller, one of my favorite writers about writing (of Salon and Magician fame), does the profile for The New Yorker. 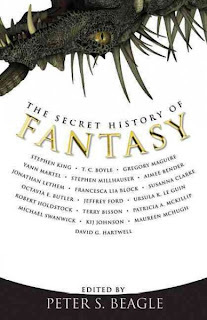 She has written very well and often about fantasy--on TV and in prose.Once, I fantasized about her. She was on her living room couch, completely clothed, wearing a sharp pair of glasses, and accomplishing the remarkable feat of eating a bowl of cheerios while reading Dickens (possibly Dombey and Son) and watching Battlestar Galactica. Finally, I have an oven now. It makes muffins. Here's how that went. The aforementioned. It's a Multi-Oven Pro from a company in Seoul called, Bread Garden. It goes up to somewhere around 450 degrees Fahrenheit. Before delivering the oven, Bread Garden delivered me two hand-mixers of small and large size. Then they took them back and gave me the oven. I do not know why it had to be this way. Soy milk and apple cider vinegar for that sort-of buttermilk goodness. Figs in batter. The recipe from Gluten-Free Girl and the Chef is here. Muffin offered to Liz Lemon.